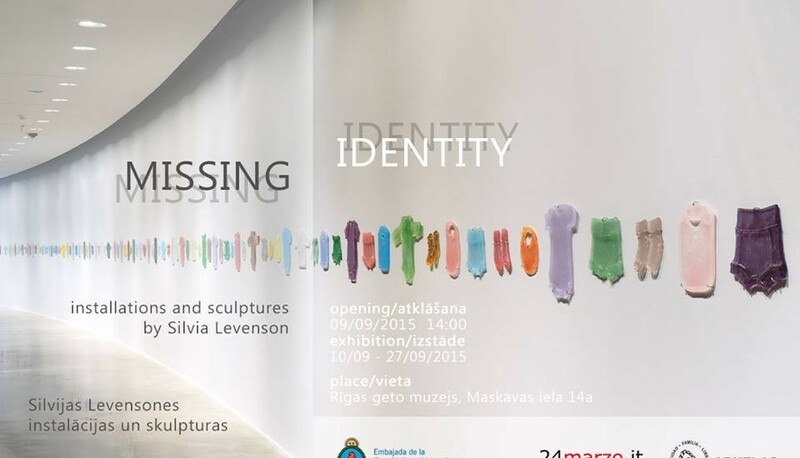 Association “Shamir” and Riga Ghetto and Latvian Holocaust museum invites you to visit the exhibition “Missing Identity” of the artist Silvia Levenson. The exhibition will open on September 9 and will last until September 27. The exhibition is devoted to the problem of militarization. “I was part of a generation that fought to change an unjust society in which military dictatorships and short civil governments alternated. In March 1976 the military made their last and bloody military coup. I was 19 years old and in August that year my daughter Natalia was born. She is the same age that other young people whose identity the military stole. With unprecedented cruelty pregnant prisoners were killed after giving birth to their children and newborns were illegally given up for adoption. 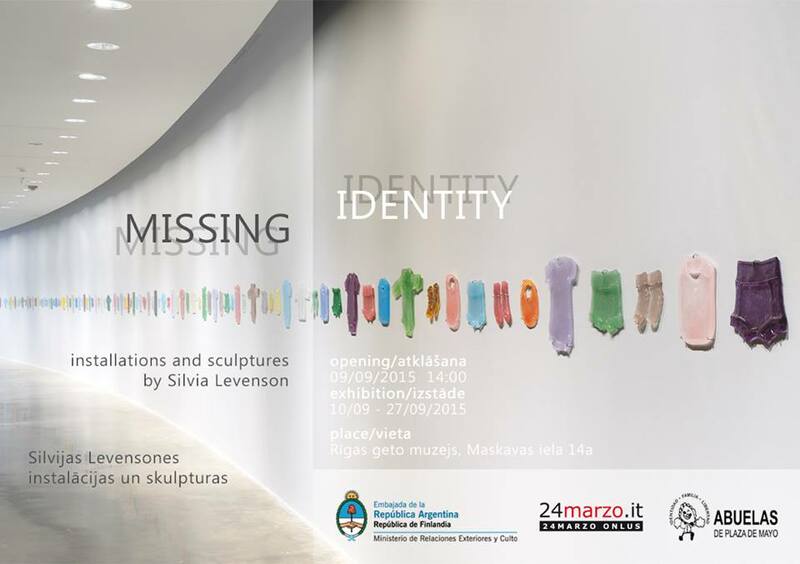 In Missing Identity I investigate the space these children, today adults, have left in their original families and the society. What happened during those years changed my life and the life of the majority of Argentineans of my generation and it has influenced my artistic work. A huge part of my work has to do with “revealing” or making visible that what is normally hidden or cannot be seen. I use glass to represent this metaphor. In Missing Identity I present 116 glass pieces of cloth that represent those “cases” resolved by the grandmothers of Plaza de Mayo (May Square). The baby clothes made of glass talk about a recovered identity; the metal chairs show empty spaces that wait to be filled, just like the swing with its glass shoes reveals an absence frozen in time and space. Although the children of those disappeared are now adults, in my work I talk about the children, the infants, because in that period they were appropriated and that is what I try to heal. The Western society proposes us a univocal model for happiness, allergic to old age and pain where the elderly little by little become invisible. In this same society the grandmothers of Plaza de Mayo introduce an innovative factor in establishing the identity of the grandchildren and through their work they try to restore the truth. To recover the identity that was denied from each of the grandchildren is a way to heal and rebuild our society and as an artist I feel part of this process of memory, truth and justice. The exhibition opening will take place on September 9 at 14 PM, at Maskavas 14a (Riga Ghetto Museum).